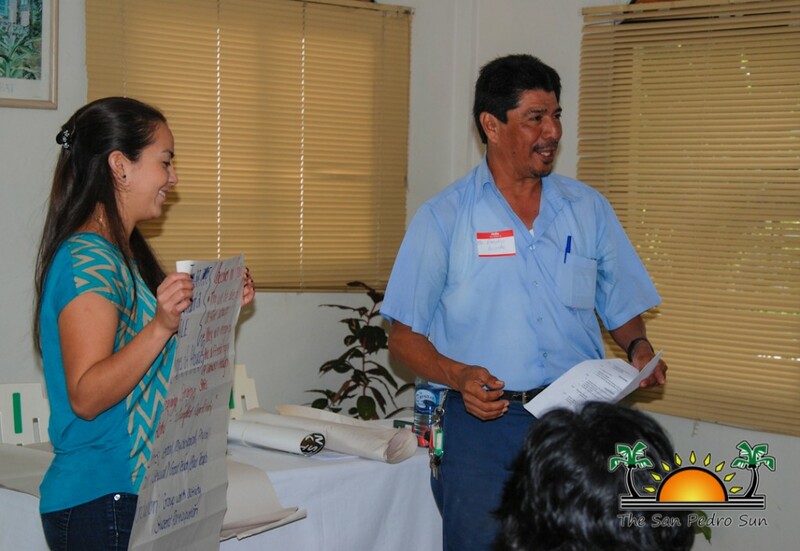 « Older: Two Schools Receive Donations from Belize It Yourself, Ltd.
Teachers from across Ambergris Caye and Caye Caulker, and other education stakeholders received a training seminar from Tom Sharp of The Child Development Foundation (CDF). 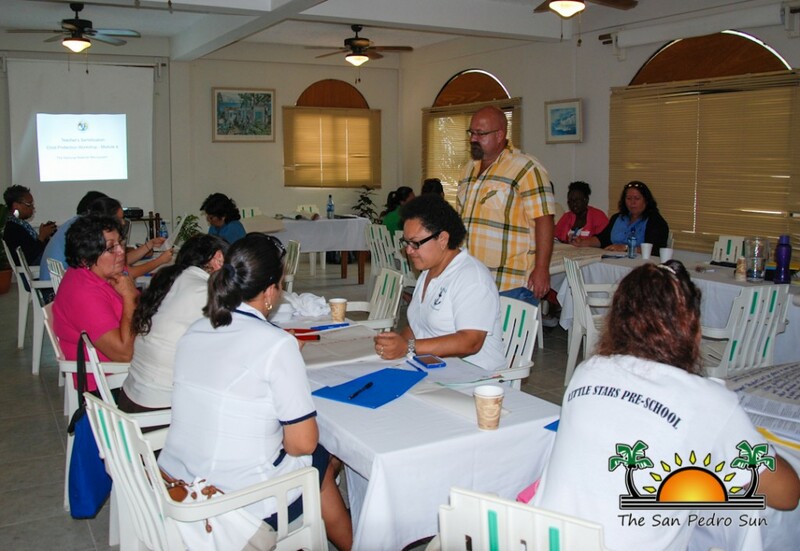 Held at the Sunbreeze Conference Room on Thursday, January 22nd, the seminar entailed participants’ learning methods to teach school children about abuse and human trafficking. Apart from gaining valuable experience, the participating teachers were also awarded credits by the Teacher Education Development Services of the Ministry of Education. CDF is a Christian non-profit organization with aims of addressing the growing issue of the Commercial Sexual Exploitation of Children (CSEC) in Belize. Sharp explained that at many times, teachers find it challenging to talk to children about these subjects, especially the younger students. 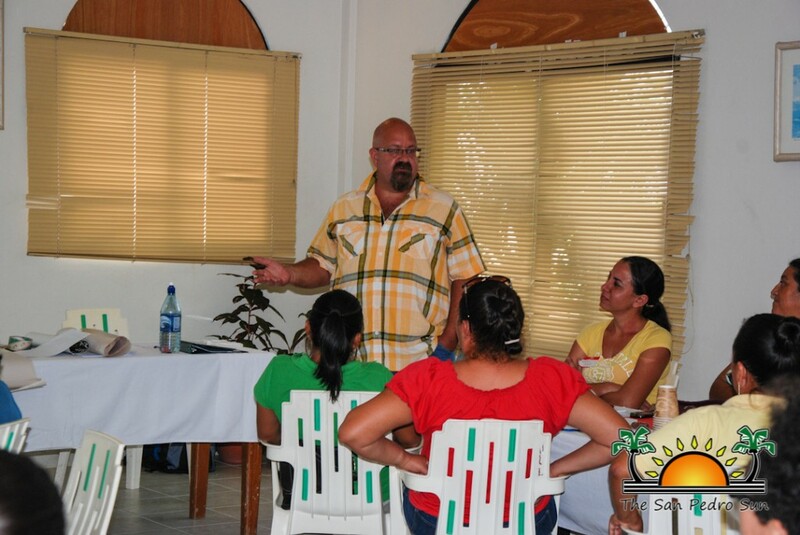 The seminar sensitized educators on the proper methods of addressing these topics. The teachers learned the different types of abuse, including physical, mental, economical, verbal, emotional and sexual. 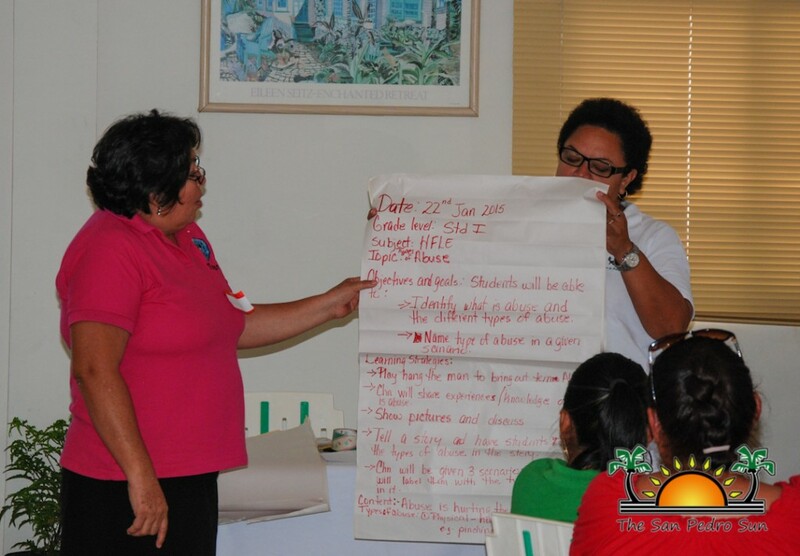 They also discussed situations that can lead to the abuse of a child, such as peer pressure, bullying and intimidation. Sharp explained several scenarios identifying the types of abuse and provided viable solutions that can be implemented by the teachers. 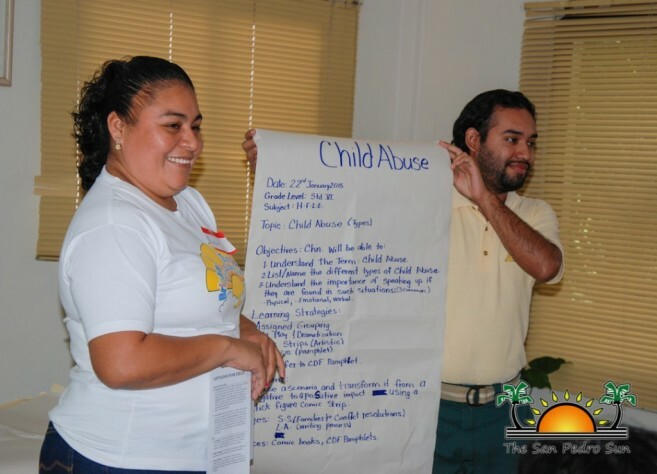 After learning about the types of abuse and methods of dealing with it, groups of educators joined in to create a lesson plan to incorporate what they’d learned in a subject of choice. 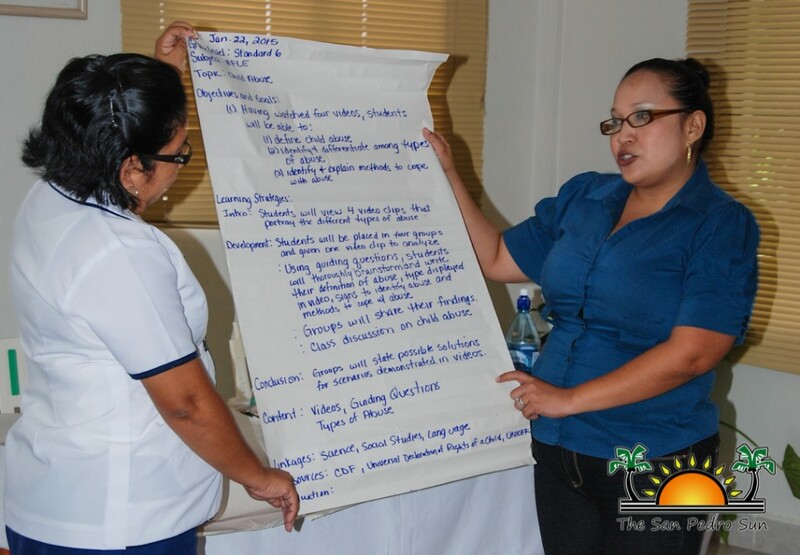 Not only did the teachers have to outline their objective of the class, they also had to determine the methods they’d apply to bring their point across, as well as linking it to the various subjects they teach so that students can apply what they’d learned in all aspects of their education. Some teachers chose to incorporate art and mixed media methodology, while others, especially the infant and pre-school teachers, chose interpretive song and dance to teach age-appropriate lessons. After the presentations, Sharp gave his suggestions and approval on each of the groups work. In addition, participants learned about the conventional rights of the child, the families and children act, the families and children (mandatory reporting) regulations, the criminal code amendments, the trafficking in persons prohibition act and the prohibition of commercial sexual exploitation of children act. At the end, all teachers present were able to come from the training session armed with the confidence that they can handle such a difficult and often taboo subject.